Recently, in Gupta v. Quincy Medical Center, 858 F.3d 657 (1st Cir. 2017), the U.S. Court of Appeals for the First Circuit clarified the limits of the bankruptcy courts’ subject-matter jurisdiction over civil proceedings. The decision, authored by Judge Lipez and joined by retired Supreme Court Justice David Souter (sitting by designation), provides a thorough analysis of the bankruptcy courts’ jurisdiction in such cases. The decision hinges on the Court’s interpretation of 28 U.S.C. § 1334, the foundation of the bankruptcy courts’ jurisdiction. Under § 1334(a), the bankruptcy courts (via referral from the district courts) have original jurisdiction over petitions for relief under the Bankruptcy Code. Under § 1334(b), the bankruptcy courts have jurisdiction over other civil proceedings “arising under,” “arising in,” or “related to” cases filed under the Code. In Gupta, the First Circuit wrestled with the bankruptcy courts’ jurisdiction under § 1334(b). Gupta involves claims for severance payments by former senior executives of the debtor, a hospital in the Boston suburbs. Shortly after filing its chapter 11 petition, the debtor sold its assets in a 363 sale. The asset purchase agreement (APA) obligated the purchaser to make severance payments to employees who were terminated after the sale. The order approving the 363 sale provided that the bankruptcy court would retain jurisdiction over any disputes arising under or related to the sale contract. The debtor’s plan and the confirmation order also each provided that the bankruptcy court would retain exclusive jurisdiction to enforce orders providing for the sale of the debtor’s property. Immediately after the sale closed, the purchaser terminated the executives. The executives sought an order from the bankruptcy court requiring payment of severance, as provided in the APA. The bankruptcy court held it had jurisdiction over the executives’ claims, emphasizing the retention of jurisdiction provisions in the sale order, plan, and confirmation order. After an evidentiary hearing, the bankruptcy court entered an order finding the purchaser liable to the executives for the severance pay. The Court of Appeals held that the bankruptcy court’s jurisdictional analysis was wrong. The First Circuit agreed that the bankruptcy courts (like all federal courts) retain jurisdiction over the interpretation and enforcement of their prior orders, but stressed that “a bankruptcy court may not ‘retain’ jurisdiction it never had—i.e., over matters that do not fall within § 1334’s statutory grant.” Thus, if the bankruptcy court never had jurisdiction over the executives’ claims in the first place, the fact that the sale order, plan, and confirmation order purported to “retain” that jurisdiction was irrelevant. In conducting its analysis, the bankruptcy court had never analyzed whether it purported to have “arising under,” “arising in,” or “related to” jurisdiction under § 1334(b). On appeal, the First Circuit undertook that analysis. The First Circuit quickly rejected “arising under” jurisdiction (which exists where the Bankruptcy Code itself creates the cause of action) because Massachusetts contract law—not the Code—created the executives’ claims for severance pay. Likewise, the Court rejected “related to” jurisdiction, which concerns claims that potentially may have an effect on the bankruptcy estate. The executives’ claims for severance pay against the purchaser, the Court of Appeals reasoned, could not conceivably impact the debtor’s estate. 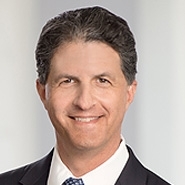 It is no doubt tempting for practitioners and bankruptcy courts to include retention of jurisdiction clauses into orders resolving disputes in bankruptcy litigation. Gupta, however, suggests that such clauses might not be reflexively followed and that the jurisdictional foundation of the bankruptcy courts’ rulings in civil proceedings may be subjected to scrutiny.